The Miss America Organization and ABC announced today that Chris Harrison will once again host the “2014 Miss America Competition” live from the historic Boardwalk Hall in Atlantic City on Sunday, September 15 (9:00-11:00 p.m., ET) on ABC. 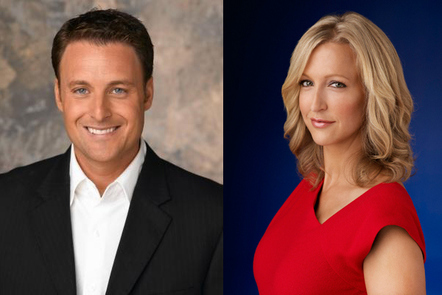 Harrison has been the host of the live telecast for the last four years, and this year, Lara Spencer, co-anchor of ABC’s Good Morning America will co- host. The 2013 Miss America broadcast drew ABC’s biggest non-sports audience in the time slot, reaching million of new viewers nationwide. Chris first hosted the iconic broadcast on ABC in 2004, returned in 2010 for Miss America’s 90th anniversary. This entry was tagged 2014 Miss America Competition, Chris Harrison, Lara Spencer. Bookmark the permalink.